The whole piece serves to humanize the performer and contextualize the controversial character, who audiences retaliated against for bringing what they viewed as a childlike obnoxiousness into the Star Wars universe. What’s most fascinating about the article, however, is how Best’s early interest in the internet made him particularly susceptible to the online hate for his character. Because Best was online and connected to the greater Star Wars fan community, he couldn’t avoid the blowback. Two of the forces that had shaped his creative life—the fandom of Star Wars and the freedom of the web—had been turned against him, and the abuse he endured was a sign of how the internet, even in the pre-Twitter era, could both personalize and dehumanize a pop-culture figure all at once. Hey, Ed Sheeran can relate. Thankfully, Best’s love for both Star Wars and technology has persevered. He has a new, technology-themed podcast and is apparently developing a comedy series with Seth MacFarlane. 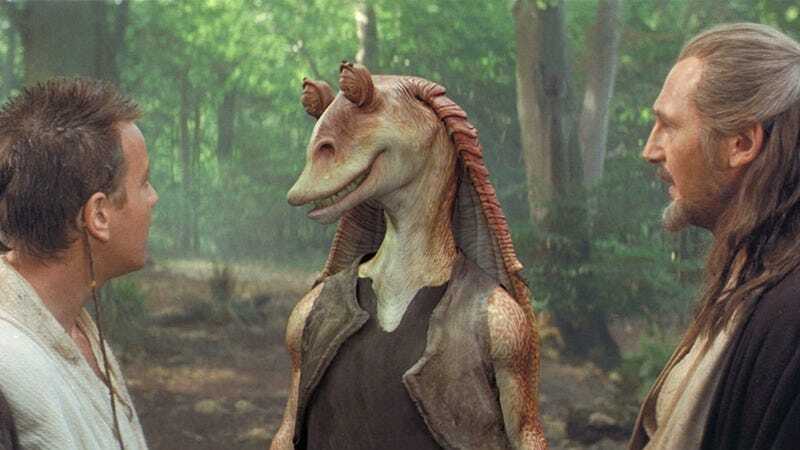 Also, he’s not trying to defend Jar Jar anymore. “He was a little bit on the nose,” he admits.